The Dennis and Patricia Worthen APhA-ASP Presidential Award was established in 2003. This award recognizes the tremendous leadership provided to student pharmacists by the President of APhA-ASP during his or her term in office. Furthermore, the award recognizes the significant personal and professional commitment by the president and president-elect of APhA-ASP to advance the profession of pharmacy. The individual is awarded a $1,000 stipend along with a mounted eagle statue. 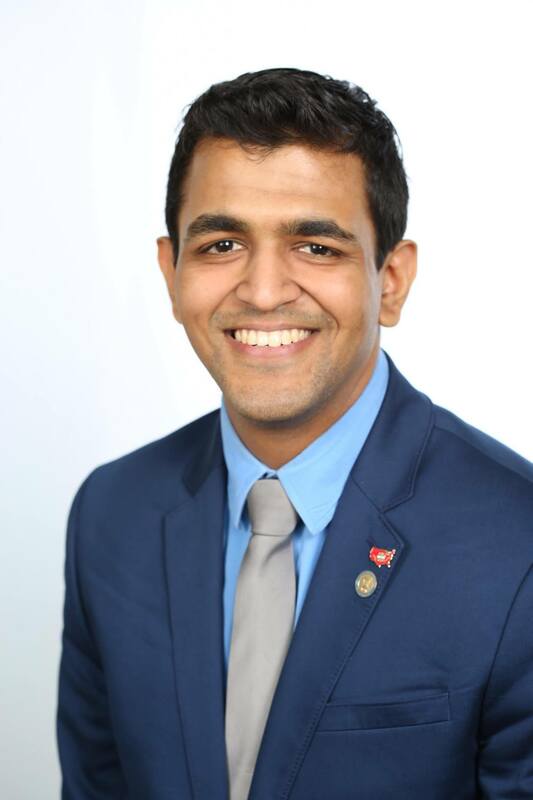 The APhA-ASP Presidential award also recognizes the president-elect with a $500 stipend. The Worthens' involvement with pharmacy began early in their college careers. Patti considered a pharmacy major during her two years at the University of Michigan, along with a number of other areas of interest, including American studies, political science and linguistics. On his part, Dennis earned his way through college by working in pharmacies. His first ambition, however, was being a pharmaceutical sales representative, so he chose to complete his BA degree at the University of Michigan before taking a territory with E.R. Squibb. From 1972-1976, Dennis attended Case Western Reserve University in Cleveland, Ohio where he completed two Masters degrees in Library Sciences and Health Sciences Education, and his PhD in Library and Information Sciences. Patti received her BS in accounting in 1986 from the University of the State of New York. She has worked as an accountant with several non-profit organizations in New York and Ohio. Dennis’ passion for history is well known and he has contributed a number of important works to the pharmacy history literature. In 1996, he received the American Institute of the History of Pharmacy (AIHP) Fischelis Grant for his research on pharmacy in World War II. In 2003, he was awarded his second Fischelis Grant to support his work on the Japanese American pharmacists during World War II. These efforts led to the publication of Pharmacy in World War II; originally published in 2004 it is now available as a Kindle edition. He is the co-author (with Michael Flannery) of Pharmaceutical Education in the Queen City: 150 Years of Service 1850-2000 (Haworth Press 2001). He served as a contributing author for the International Journal of Pharmaceutical Compounding. He was also the contributing editor of the “Heroes of Pharmacy” series for the Journal of the American Pharmacists Association. This series led to the publishing of Heroes of Pharmacy: Professional Leadership in Times of Change which he authored in 2008 with a 2nd expanded edition published in 2012. He partnered with Robert Elenbaas in writing Clinical Pharmacy in the United States: Transformation of a Profession (American College of Clinical Pharmacy 2009). Mrs. Worthen has a long-term interest in literacy issues and while in New York worked with a local pharmacy group to develop a program to identify and help low-literacy individuals with their health information needs. Patti has accompanied Dennis to many pharmacy meetings and visits to schools of pharmacy. 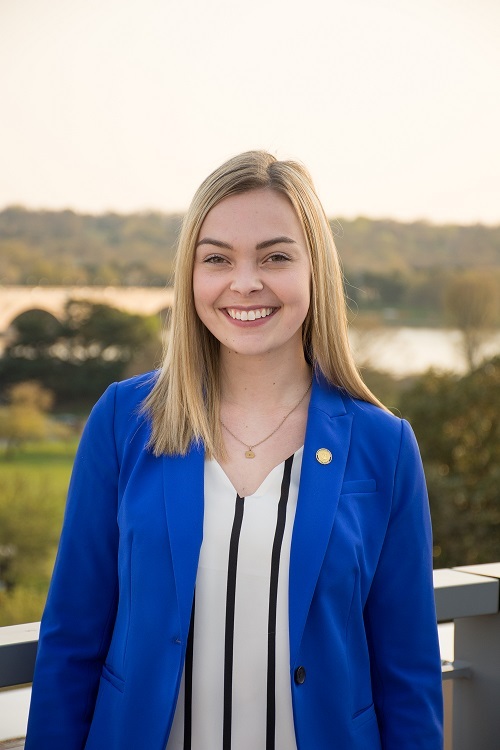 The friendships and insights gained from these have made her an active partner in the decision to establish this new award to recognize outstanding student leadership. Dennis retired from Procter & Gamble Health Care in 1999 and currently serves as an adjunct professor at the James L. Winkle College of Pharmacy at the University of Cincinnati where he teaches courses in the history of pharmacy course and pharmacy in World War II. In 1998 his efforts on behalf of student pharmacists was recognized by the receipt of the APhA-ASP Linwood F. Tice Friend of the APhA Academy of Student Pharmacists Award. The same year Phi Lambda Sigma (Pharmacy Leadership Society) bestowed its National Leadership Award on him. In 2010, the American Pharmacists Association named Dennis as the honorary president. Patti currently volunteers as a tutor for individuals with low language and math skills and for the Alzheimer’s Association in addition to being a docent at the Taft Museum of Art. The Worthens have two sons, David, a retired Army noncommissioned officer and Daniel, a clinical social worker. 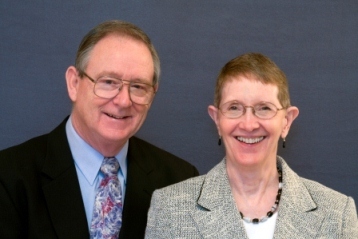 Contribute to the Dennis and Patricia Worthen Student Fund here.